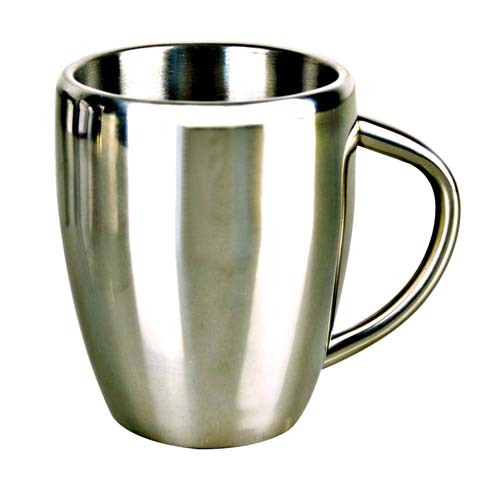 Many people find metal an unusual choice for enjoying a hot beverage out of, but it’s actually fantastic for insulation purposes. 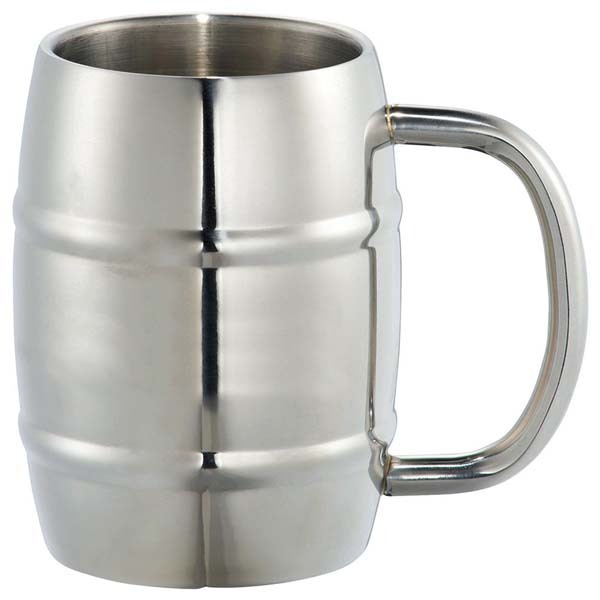 Novel Tees stocks some of the very best and most attractive promotional metal mugs on the market. From sleek and modern to travel size, our extensive range ensures that you’ll find the exact look you’ve been searching for. 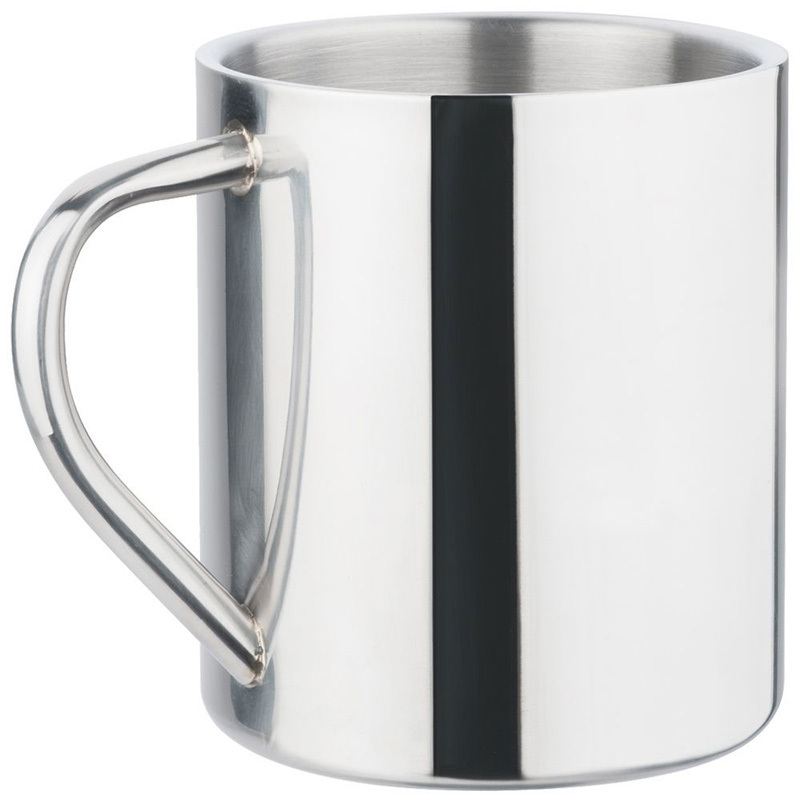 Stainless steel double wall mug. Inside and Outside with Stainless Steel. 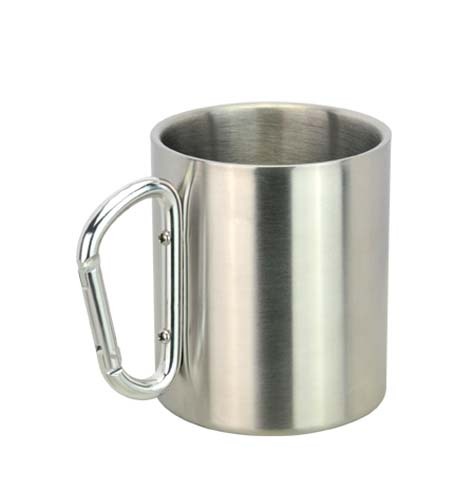 Stainless steel double wall mug. 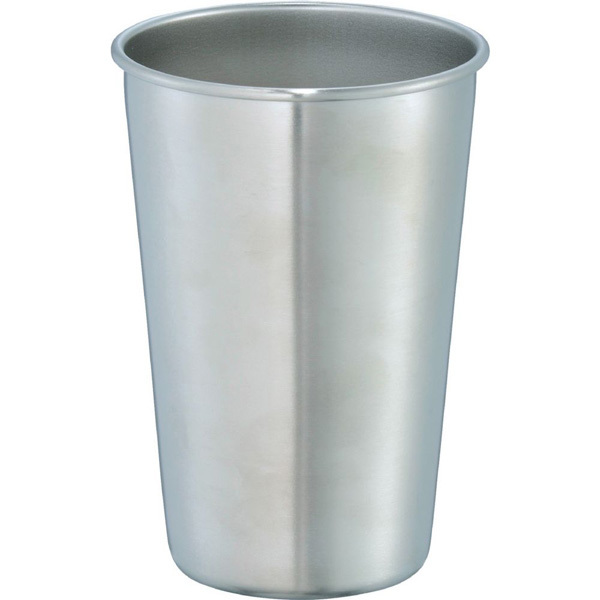 (Inside and Outside with Stainless Steel). 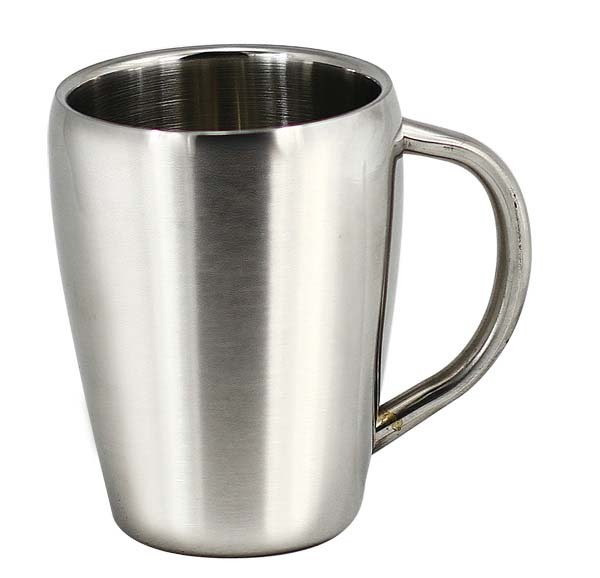 Do you wish you could enjoy a hot coffee on your daily commute via train? 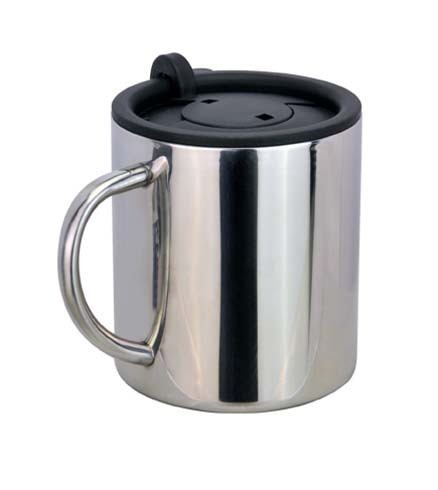 Do you wish that your tea stayed hot for as long as possible, giving you more time to enjoy it? 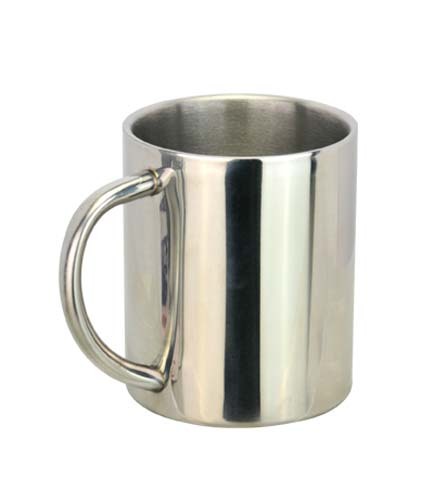 Our range of custom metal mugs is the ideal solution – they insulate your beverage without burning your fingers. 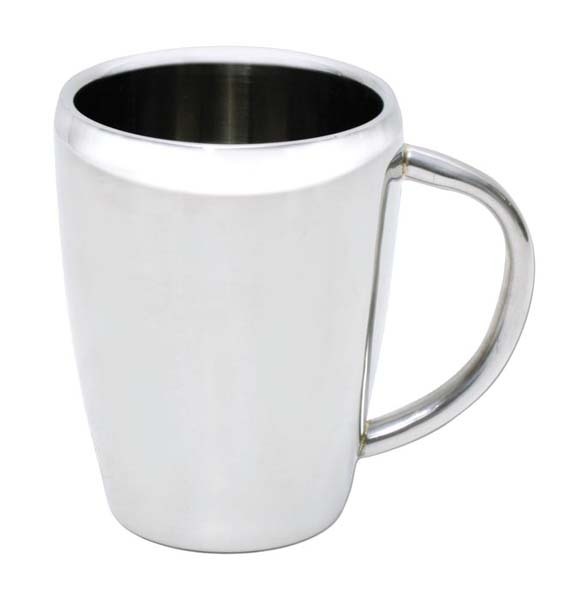 Choose from a wide variety of metal coffee cups – including standard, travel, thermal and leak proof – to ensure that every hot beverage has been catered for. 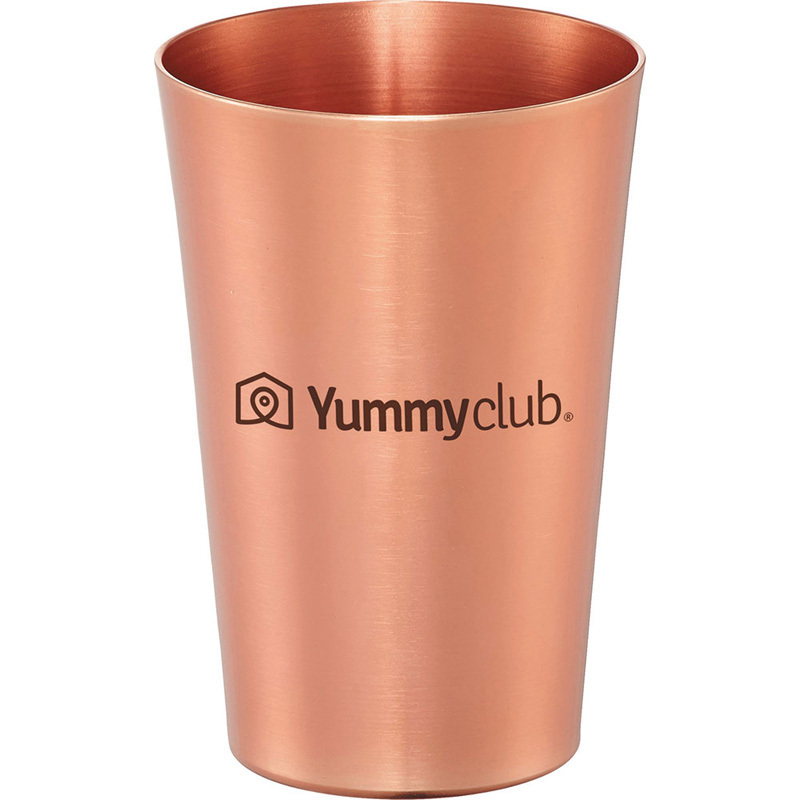 They are all double walled to ensure the drink remains hot. 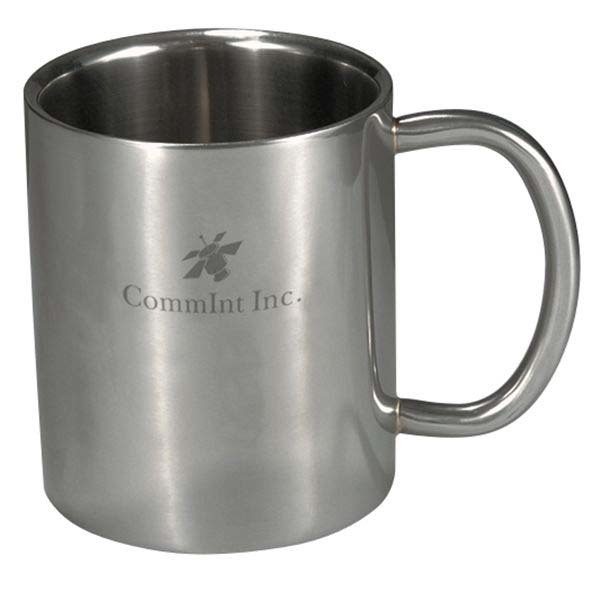 Choose from an array of styles – including long handle, short handle, double handle, satchel and drawstring – to ensure that your promotional metal mugs are the perfect match for your business and clientele. 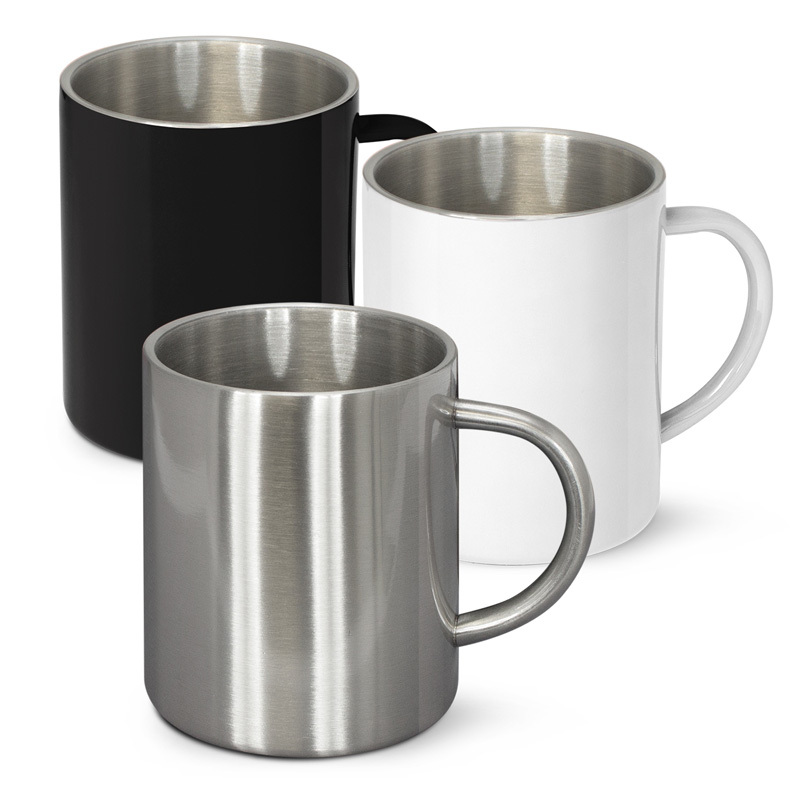 Our stainless steel coffee mugs are available in an array of shapes, sizes and styles to ensure that the needs of your clientele are met. 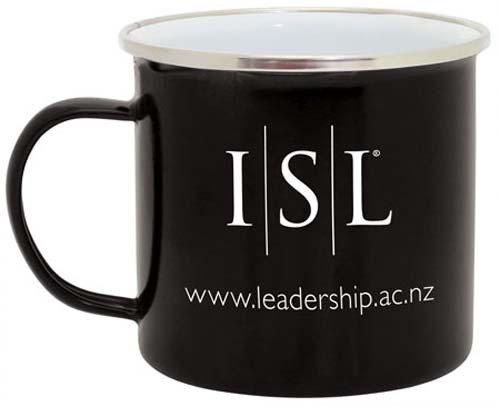 Your logo can be printed in colour for continuity or engraved for a more sophisticated look. 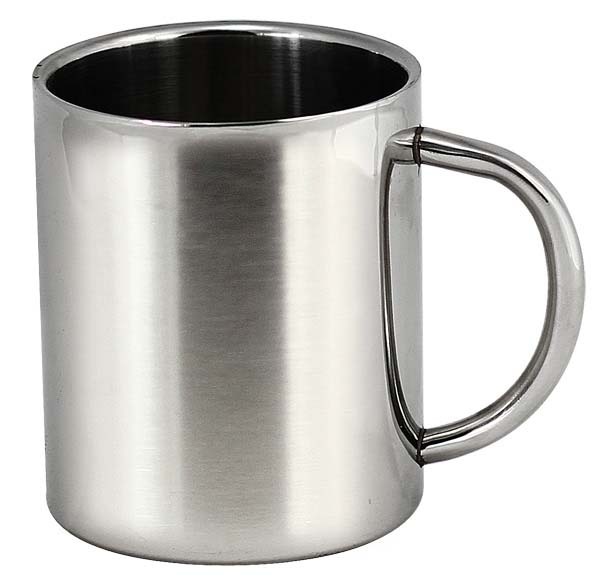 We use only the highest quality stainless steel mugs on the market, ensuring that they don’t get bent out of shape and keep your beverage of choice hot. 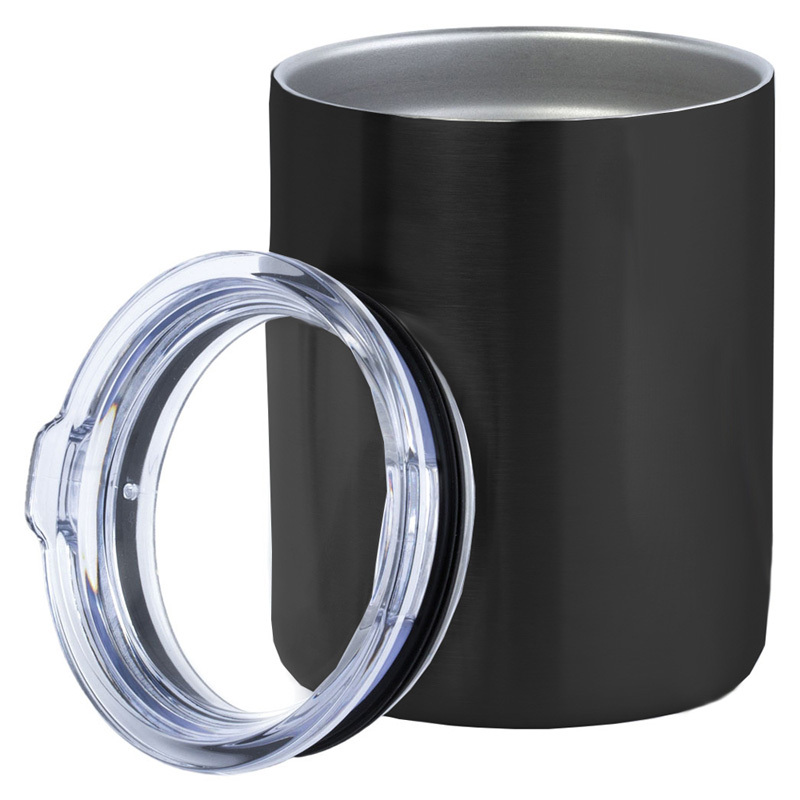 Our cups are sometimes coupled with quality plastic lids and grips. 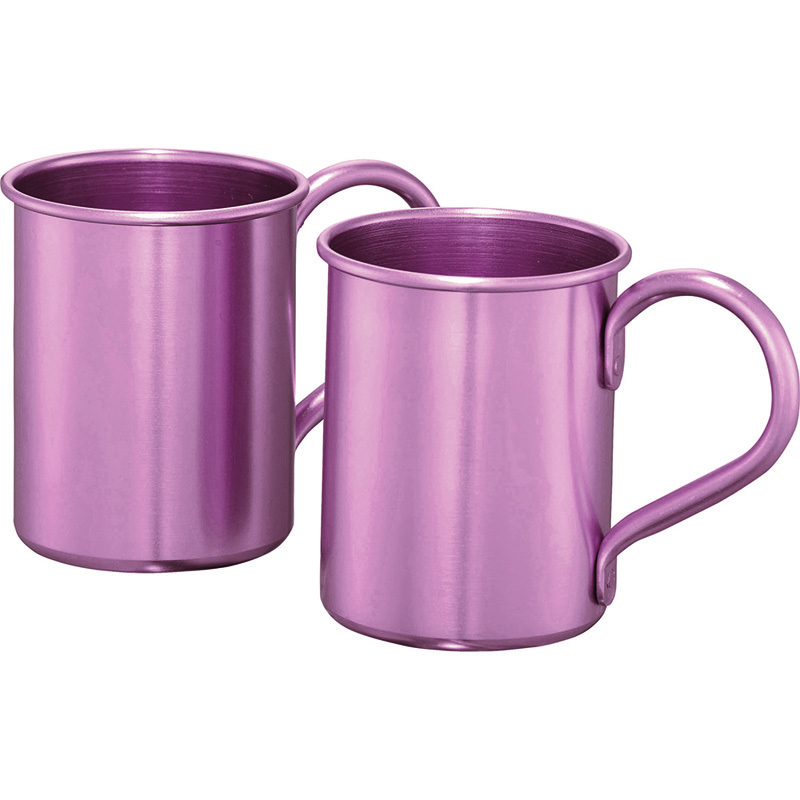 What size design can be added to printed metal mugs? 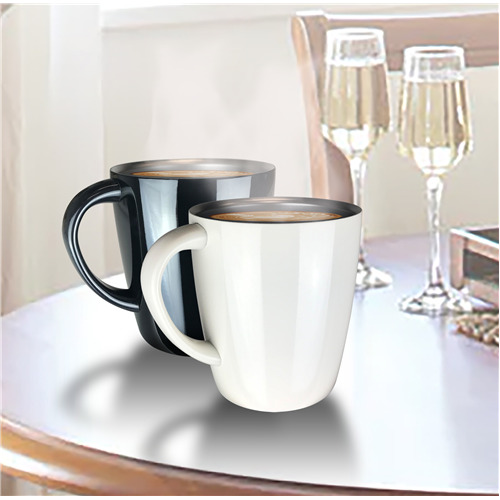 Each of the mugs in our range has designated areas that are suitable for printing and engraving. Please contact Novel Tees directly; we will let you know the appropriate sizes and which of these branding methods will be the most suitable for your needs.